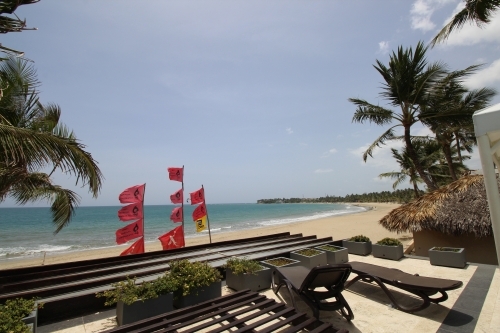 his is a great opportunity to own a luxurious beach front penthouse suite in Cabarete. Spectacular beach, ocean and mountain views along with amazing Caribbean sunsets await you from the large balcony. 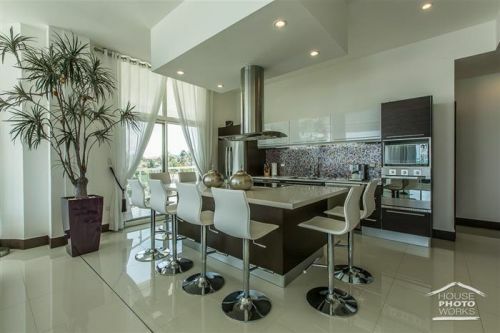 This spacious penthouse offers 370m2 / 3982 ft2 of living space and was designed to take full advantage of the panoramic views. 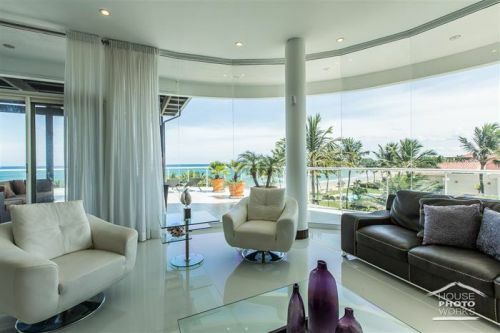 This gorgeous penthouse is located inside one of the most beautiful properties in the Dominican Republic, perfectly positioned to enjoy the warm tropical breezes and spectacular ocean views, surrounded by beautifully designed tropical grounds. 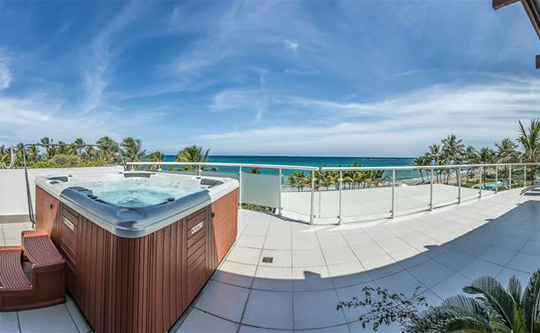 Owning this penthouse offers you the ultimate in beach luxury living and your own piece of the Caribbean paradise. 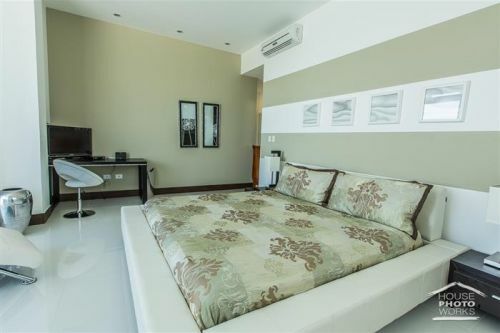 This penthouse is also perfect for any investor who is searching for a perfect vacation property that will generate passive income while not in use. 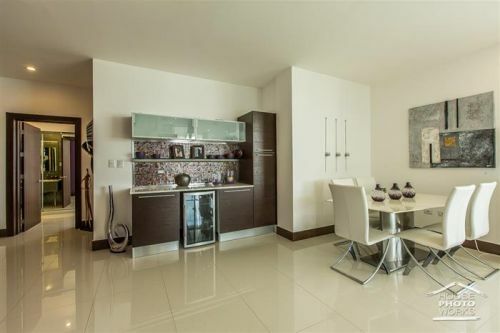 This luxurious penthouse has three bedrooms, a master bedroom and two guest bedrooms. 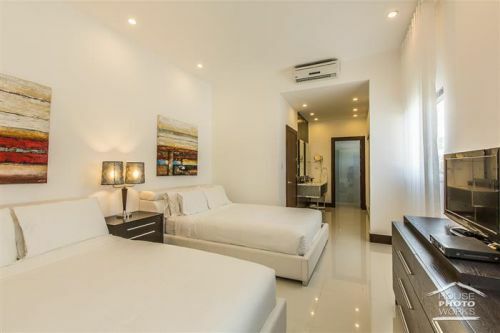 The spacious bedrooms all have their own air conditioning units, flat screen television, ensuite bathrooms with double sink, shower and plenty of closet space. 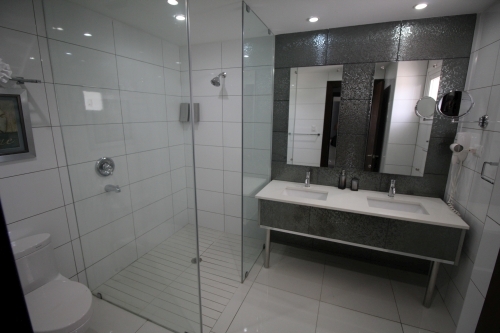 The penthouse also has a guest bathroom with a private shower. The modern kitchen comes fully equipped with top of the line appliances. There is a center island with a range top which is perfect for entertaining while cooking a gourmet meal for your guests. The centralize air condition living room area is open floor giving the feel of openness with large bay windows to maximize the incredible views and allow plenty of natural lights. 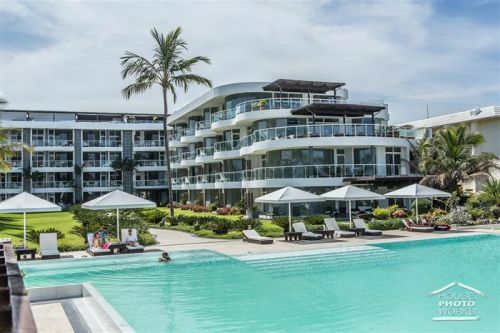 As you step onto the balcony, which overlooks the lush grounds, infinity swimming pool, the sparkling turquoise waters of Cabarete Beach which has a private hot tub that accommodates four people. This area is absolutely ideal to relax, take in the magnificent views or just simply enjoy. This penthouse has two parking spaces: one garaged and one outdoors. Condo amenities include a grand lobby area to receive guests, air condition throughout the building, wireless high speed internet access, cable, electricity, water, twenty-four security, and elevator service, twenty four hours electrical power with backup generator, use of the infinity pool and common grounds, a gym, wellness center, a spa and a Italian restaurant. There is a kite boarding school next door for those interested in learning a new water sport. 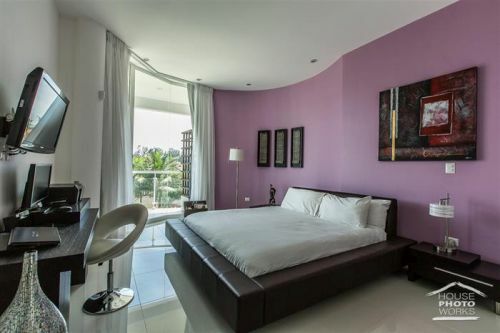 This penthouse is located within walking distance to all of Cabarete amazing entertainments.